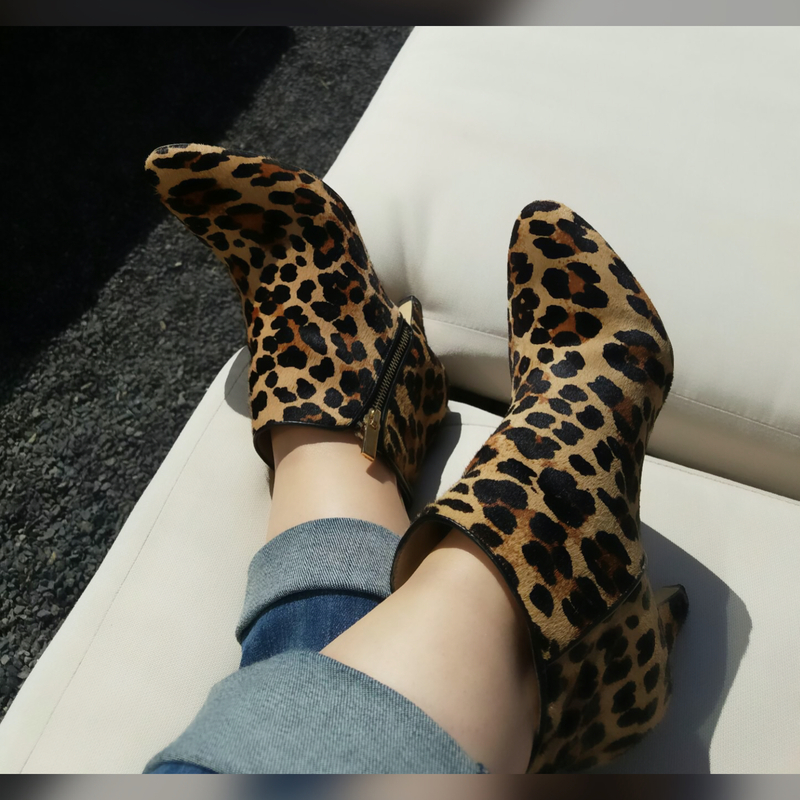 My shoe of the day is the InternationalConcepts Leopard booties I bought from Macy's last year. I did find one available. Hard to find thought and sizes are limited. Sweet when even the guys are commenting "Nice Fashion Statement Piece", YESSS!!! So satisfying. âœ”ï¸�ðŸ‘�ðŸ�»ðŸ’¯This leopard print is so detailed and I love the deep color tones. The gold zipper adds a classy touch.